Alcohol, airline and retails brands have offered diverging responses to the Chancellor's Budget, which has been aimed squarely at improving British business. Measures introduced to spring-board British business include the temporary freezing of air duty and a reduction in corporation tax. Chancellor George Osborne said: "Britain is open for business. We want to make Britain the place where international businesses go, not where they leave." Osborne set out a number of measures to simplify the country's tax system and also announced a further reduction in corporation tax, which from April this year will be reduced by 2% and then fall by 1% in each of the next three years. The cut in Corporation Tax has been broadly welcomed by brands. He also announced a decision to freeze air passenger duty (APD) – a move welcomed by the aviation industry, which has called on the Government to work towards a new per-plane taxation system. Osborne brought in a one-year freeze on the banded APD system, which calculates passenger tax based on the destination, and said the Government would review the basing of APD on capital cities. Under current rules the system makes flying to the Caribbean more expensive than flying to most of the US. However, Osborne said the Government would need to investigate the legality of switching from a per-passenger to a per-plane tax – which aviation campaigners say would encourage efficiency – due to the regulations of the 1944 Convention on International Civil Aviation. Peter Duffy, chief marketing officer at easyJet, agreed with the new tax on private jets and the freeze on APD. He said: "The continued omission of transfer passengers from APD undermines what the Coalition promised to achieve by replacing it with a fairer, greener per plane tax. "Taxing planes makes sense. It could be used to encourage airlines to fly more modern fuel efficient planes. It would be a direct tax on flying empty seats. And it would remove an effective subsidy to foreign transfer passengers which would mean four out of five British travellers would be better off." Amanda Wills, managing director at Virgin Holidays, described the APD freeze as "a temporary stay of execution rather than a full reprieve." Meanwhile, The British Retail Consortium (BRC) has welcomed the business-friendly tone of the Budget but said questions about whether, in these difficult economic times, the Chancellor's measures go far enough. Beer brands were offered no respite from the Government, which has adhered to its "beer tax elevator" and increased the duty by 2% on top of inflation. 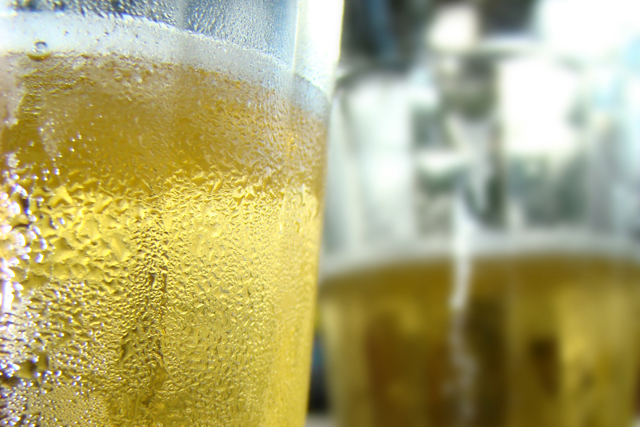 While Osborne today said there would be no additional changes to alcohol duty rates, beer brands had hoped he would revisit and water down the planned hike. The British Beer & Pub Association said: "In sticking to the failed policy of the beer tax escalator, the Government has delivered a hammer blow to pubs and pubgoers. "This will not raise any more money for the Treasury, cost 10,000 jobs this year alone and see many more pubs close."